If I Have A Work Comp Claim Or A Personal Injury Case, Will That Affect Me If I File For Bankruptcy? No, it does not affect your ability to file for bankruptcy protection in either Missouri or Illinois. But in terms of full disclosure, the cases would need to be identified clearly on your bankruptcy schedules so that the Trustee is made aware of it. Once this disclosure is made, it is up to the Trustee to determine if there is anything for your creditors. When you file a Missouri or Illinois bankruptcy, it is required that you disclose all of your assets and personal property to the court. In other words, you cannot withhold information concerning your ownership interest in anything. This is true regardless of whether you believe the asset or property has any value or not. Included in this list would be any claims or cases you have pending at the state court level, like a workman’s compensation claim or personal injury case. Of course, cases of this nature tend to take a long time before they are finally decided upon. It is not unusual for a personal injury case, for instance, to take several years before a ruling is made in the state court. And it is also true that just because a case of this nature has been filed in the state court (whether it is a workman’s compensation or personal injury), that does not necessarily mean that you will actually receive any money in damages. These types of cases are highly contingent upon a number of factors that must be proven sufficiently to either a state court judge or jury. On the other hand, it may very well be that your case will settle before going to trial, in which case, you would stand to receive some sort of bulk payment from the party that you sued (after your attorney takes his thirty percent for fees). And if this is the outcome, then it’s important to understand how your bankruptcy Trustee will handle it. If you file a St. Louis Chapter 7 bankruptcy, the personal injury suit will have already been disclosed, so the Trustee will undoubtedly ask questions about it at your 341 Meeting of Creditors. He/she will want to know how close your case is to being settled. If there does appear to be a good opportunity for your personal injury case to bring in damages, the Trustee may wish to hire your personal injury attorney on your behalf, and allow that attorney to proceed with the case just like before. If the attorney is successful in winning damages for you, the Trustee will then have the chance to take the money you win and apply it towards the creditors that you are asking to have discharged in your case. If you file a St. Louis Chapter 13 bankruptcy, your bankruptcy attorney will have to file a Motion with the court to allow the case to proceed. And if any damages are awarded, the bulk of it will go towards those debts that are a part of your repayment plan (with a chance to retain some of the proceeds for yourself if there are any legitimate expenses that you can show to the court). The rules surrounding this type of event are very specific, and therefore require a thorough understand of how things work. This is why it is so terribly important to hire an attorney with a great deal of experience and knowledge with how these rules work. 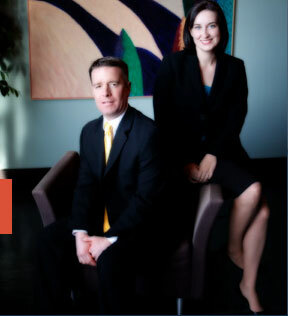 The affordable St. Louis bankruptcy lawyers at Brinkman & Alter, LLC have been providing quality bankruptcy legal services for years. Our goal is to get you on the path towards financial freedom, and the fresh start / clean slate that you deserve.